Welcome to episode #83 of The PPC Show, where we interview the best and brightest in paid marketing. Over the next two weeks we'll be joined by Merry Morud, Associate Creative Director at Aimclear, to discuss the recent FB changes in light of Cambridge Analytica and Zuckerberg testifying in front of congress. Then we'll tackle the implications of custom audiences & 3rd party data and what advertisers should be doing now to prep for the changes. You can also listen and subscribe on Apple Podcasts, Stitcher, PlayerFM, Overcast, & Tunein Radio. Merry Morud is the Associate Creative Director at Aimclear, specializing in audience-specific, channel-focused messaging, and deep psychographic audience research. She joined Aimclear in 2008 as employee No. 4 and is a master at aligning creative and messaging with psychographic personas and interests. Merry is currently excited to be under contract full-time with Uber in San Francisco managing paid social rider acquisition. A top contributor to Aimclearblog, Merry is also a noted author and thought leader throughout the marketing universe. Her brilliance has been shared with the masses through various marketing blogs and podcasts, along with numerous high profile speaking engagements around the world. Merry’s thought leadership extends to webcasts for publications including WriterAccess and Search Marketing Now. She presents at Aimclear’s Social PPC and Psychographic Display Intensive; Social Content Distribution for SEO- the New Link Building; Community Management Master Class; and Facebook Marketing Intensive Workshops. An industry trailblazer, Merry piloted and managed innovative Facebook PPC initiatives for Fortune and Global 500 companies, and is also well experienced in handling the unique online marketing needs of midsize and startup businesses. JD Prater: Merry, welcome to the PPC Show, take two. JD Prater: Let me go ahead and get this out of the way. Merry was in here last week, which we'll get into her being in San Francisco. We are recording the show, at least I should say I thought we were recording the show, we get done and it was not recording. Merry Morud: It was that quintessential, cliché, moment of just such a joke. I thought it was a joke. JD Prater: I'm just the joke. Merry Morud: I'm in San Francisco for a while so we were able to do this again pretty quickly and so that just means we get to have fun and shoot the breeze. JD Prater: Yeah, so tell everyone what you're doing in San Francisco and all the good stuff that we need to get caught up on. Merry Morud: If you don't know me, I'm the associate creative director at Aimclear. If you don't know me, you probably know my boss, Marty Weintraub. We are a full service digital marketing agency based in Duluth, Minnesota with an office in St. Paul as well. I was employee number four at Aimclear back when it was just Marty and Manny and Matt and Merry, all Ms.
JD Prater: All Ms, wow. Merry Morud: Back then, we were a small shop so we wore many hats and Facebook ads came out and Marty spoke on the last session of the last day at SMX East, I believe it was in 2007, and he talked about the impending social PPC and there were like 12 people in the audience, all the old SEO's and search pros were like already at the bar snickering about paid social or social being ridiculous and from that, and from subsequent speaking gigs that Marty did, talking about social PPC being kind of like this next wave, we got Martha Stewart on me as a client really early on in my career. And so Manny and Matt were already busy with other clients and Marty said, "All right, you don't have that much to do, here's your client, Martha Stewart, Facebook ads, figure it out." There was nothing written about Facebook ads or best practices and everyone was totally failing because they had just taken their search keywords and dumped them into Facebook, which, of course, didn't translate or didn't pour it over well at all. People just thought these don't work, its kind of trash and so they just kept doing their search thing, and so that lead me to really figuring out, psychographic targeting, like, what this means and how you can be successful on Facebook ads in terms of ... back then, I was talking about campaigns structures and not driving yourself insane with the lack of structure in that platform when it was really brand new and evolved into psychographic targeting and then creative best practices. Now, I am still working at Aimclear but I am under contract doing paid social acquisition for riders at Uber, just down the street, so we're like neighbors now. JD Prater: I know. Did you take an Uber over here or did you walk? Merry Morud: Oh, gee, it's like four blocks. Merry Morud: For another week. JD Prater: Yeah, for another week. Yeah. Well, cool. Let's jump into it because we've got quite a line up on this show today. We're gonna be talking about really the last couple of months, right? We're gonna be talking going through the Cambridge Analytica stuff, we're gonna be talking about Zuck going to Congress, and then really how that's gonna be impacting you as the advertiser and some things that Merry and I are actually really excited for. We do think some of these things and the data regulations are gonna be fantastic for advertisers, but let's kind of walk through what happened and what's going on and how we can take advantage of it. So let's kick off with the Cambridge Analytica. We know that explanation probably not necessary. You guys have all read it, you guys know what happened, but maybe give us a quick summary of what you think we can take away. Merry Morud: Right. Y'all totally understand what happened, like, we're in the thick of internet marketing, so we understand the data that's been available to us for many years and yeah. When Facebook opened up that connection targeting, like that connection data for developers and people connected on apps and things, we all saw it and we're all like, "Oh, this is insane and a lot of data," but insane in like a crazy cool way, but like most people were like, "Wow," this is probably gonna go away soon, so I think people took advantage of it while they could and took advantage of it in legal ways, in the ways that Facebook outlined. What happened with Cambridge Analytica and Kogan. What happened was Kogan had scraped all that data from those connections and then sold it to Cambridge Analytica and therein lies the legal problems. It was not his data to sell and so Facebook got very mad and they shut him down, slapped him on the wrist, but then never really followed through with checking to see if that data had actually been destroyed or gotten rid of. And here we are in 2018 and we all know what happened with that data and that data was used to help political candidates and to what extent it helped or helped win we don't know because that's something we can't retroactively understand, but here we are. Congress invited Zuckerberg to have a hearing and answer for what happened and that was a really interesting two days, I think, for many digital marketers or anyone is like relatively savvy with internet data and privacy. Ultimately, I think it just ... wow. Like, these people are making our laws in the 21st Century and the questions that they asked Mark Zuckerberg were, I mean, incredibly elementary and really highlighted their lack of understanding of the internet as a whole, even the younger Congress women and men were just woefully uninformed about the basics of internet data targeting, remarketing, privacy. And emailing on WhatsApp was one of my favorite moments because, I mean, like ... no. 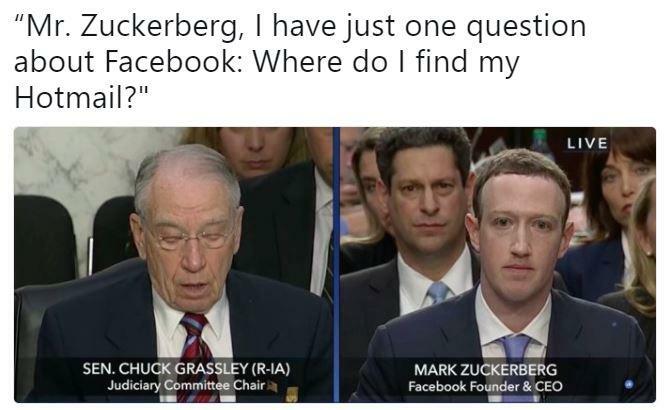 I mean, aside from a simple misunderstanding of the product, and I get that many legislatures only use the internet to email, so maybe that's all the internet is to them, but WhatsApp is encrypted end to end, so, I mean, a simple answer is like no, Facebook and WhatsApp and like all that, like, can't be seen. It's like iPhones data or iPhones messages are encrypted. So at the end of the day, I was really, really impressed by Mark Zuckerberg for not being as condescending as he could have been, and I don't think he was really at all. I think he was very patient and I also think he didn't really talk down to those legislatures, which was a really good look for him, even though they asked some really silly questions that revealed their ignorance to one of like the biggest industries this country has ever seen, if not the world. If you think about how much data and the sharing of data and the internet impacts all our lives, in general, and then like businesses as a whole, like, it's astounding that they don't have a better grasp of this. What was your favorite moment from the Congressional testimony? Merry Morud: Right. They're not like a multi-billion dollar company just because they put together a platform where people hang out online. JD Prater: Yeah, they employ like 25000 people, all those people get paid, right? JD Prater: So, they had to be somewhere. Merry Morud: It's not just some like venturing capitalist just writing checks every month. Merry Morud: Right. Which is what you should defer to. Isolated event or majority of advertisers? Merry Morud: For like many of those specific data point questions, I mean, from what happened with Facebook going to Congress is, I mean, like, maybe, our future legislation will be written in plain English, as they so implored Facebook to do with their TOS. Maybe iTunes's TOS will also be written in plain English and South Park can get rid of that episode. Maybe my next loan or mortgage will be written in plain English as well, because like, I will put myself to sleep even reading that and I certainly don't quite get it, but I mean, words or the way you say things are, like, matter, more ... they matter, and so anyone who may cry a foul, like, fake news, they may ... we're gonna, like, back track on this. Merry Morud: Because I ... all right. So, what you say or the way you say things matters and it may not matter that much to someone who cries fake news, but lawyers will disagree with you and those TOSs certainly, like, they're designed to protect corporations and make sure that your data and, like, that agreement between, like, you and that company is used in the right way and used in a way that everyone kind of agrees to to a certain point. If Facebook didn't have such stringent TOS, like, there would've been more marketers abusing that connection targeting or that connection data that Kogen did, but since they have these TOS and most people abide by those, you know, it does protect them and it does tell users what's going to happen to their data, maybe not as specifically as they would like and in a plain terms, but, you know, it says, like, your data is being used to target advertisements towards you. And I would say, you know, great, like, give me ads that you think are relevant to me because I always think back, when people complain about privacy and what kind of data is being used to target you, I think that we forget how crappy early internet ads were where like everything was like a blinking Viagra or Cialis banner ad and just awful and it wasn't targeted. So, like, there wasn't advertising put in front of you that was relevant and now it is very relevant to the point where it's creepy sometimes, but that's really on us as digital marketers and creatives to walk a line between being really targeted and knowing certain data points about someone or what these algorithms think that they may purchase or intend to purchase, and walking that creative line of being hinting at making that purchase or that you know that they may be looking for a said product or a service without saying like, "Hey, you clicked on this ad," or, "You went to this website," or, "Now you're in the market for this," like, that freaks people out. So we just need to walk a fine line with being just, you know, better ad artists, I would say. JD Prater: Nice. I think one thing too that we were kind of talking through is this is also like an isolated ... I still maintain this is isolated event that maybe it's one bad actor that got found, right? But this is not the majority of advertisers. JD Prater: I mean, I think most of us are white hat, I think the majority of us are white hat, I really think maybe less than one percent, if not even smaller percentage, are people are really trying to take advantage of this or trying to hack or game a system. So I think that's one thing that we should say I kind of agree upon and then I think the next part is we saw Facebook move real quick, right? This is where we've seen this in the past where something comes out and you can almost call like a knee jerk reaction, right? With some of the things that come out. So, one of them that we're gonna get into is this regulations in getting into the data and digital management as a whole, but one of the things we saw in context of political are now like political candidates have to be verified. I thought that was a kind of an interesting one, then, again, we can get into who is actually running political ads and which ones should we be scared of, but you know. Merry Morud: So, yeah. I think recently, maybe within the last week or two, Facebook put out an announcement that political advertisers need to disclose and there's going to be regulation around this. This disclosure involves getting something in the mail, like, the physical post mail that's delivered by a mail person and not just setting up ad accounts willy-nilly. I still think that they're probably not going to do enough because identifying what is or what isn't political is nearly impossible in this day and age where, I mean, gosh, almost everything is political, almost everything has a political slant. So I'd put money on the fact that they're still not thinking deeply about how this will be abused or skirted. We've all seen these loopholes for years. We've seen how easy it is to cloak ads or to scrape data. White hats, like you said, which most of us are, I would say like 99.9 percent of Facebook marketers are all above board because of our ethics and also, it's a significant work for tactics that may disappear and may not pan out in a day. Americans for Freedom, or like Being Right is Right, or all those cleverly named pages that certainly like to share a bunch of political memes and political stories, so those kind of pages and those kind of political propaganda can be spun up and shown ads that don't look like they're coming from a candidate for public office, but you know, it's serving a purpose to either seed misinformation, sway votes a certain way, but it's not on behalf of the candidate, like, that's going to be a big problem and like a big glaring dark spot that Facebook needs to contend with. Yeah. Essentially, like, that blog post, we'll link to it in the show notes or foot notes or whatever, but essentially it's like does Chrome Extension spun up a bunch of ... I wouldn't call them fake blog posts because they're blog posts, but they're just like really poor content. It's basically just a blog post for the sake of promoting this Chrome extension that saves you money and they spun up all these different, like, verticalized Facebook pages that are not connected to the company that has this Chrome extension that saves you money. It's kind of like Honey, if you know that one. It'll like look for coupon codes or that kind of thing, but it monitors your browsing data, which is, I mean, like, maybe people don't want Chrome extensions monitoring their browsing data and purchasing habits, maybe they do, but these ads cloak what the source is or what the purpose of this blog post is, which is, of course, very click bait-y and like how I afforded my honey moon on a shoe string budget, how I shop for ADIDAS and save money, or this crazy hack that allows me to travel the world on a dime. And so they seem like this very innocuous, third party, like, oh, just the cool hack or something that's friendly and helpful, but really, it's all just to service this Chrome extension and at the end of the day, they're using these Facebook pages, which are so easy to kind of cook up and just launch and then run ads behind without disclosing that the actual product or the brand. JD Prater: Yeah, that's a tough one and I think that's a really strong point that needs to be made, you know. Whenever we think through senators, governors, you know, there was an election like just this past Tuesday, right? Merry Morud: Seems legit, though. Merry Morud: The Denver Tribune. JD Prater: And it's not real at all, it's actually completely fake. There is no Sun, there is no Denver Tribune, and you know, part of that is on us to, of course, know these things, but in a world where we're putting out so much content, there's so much information, I think that's an interesting point for Facebook and I see that they're making strides, they are trying. This is a first step. To your point, it's probably not enough. Merry Morud: Right. And they'll get there. But, quite honestly, I wouldn't say the brilliant part of these kind of shell pages, but what that allows these brands to do is to make very like wild claims or to make these inflammatory suggestions because it's removed from, you know, it's removed from the brand, and in terms of politics, it's removed from the candidate. So it's not, you know, it's not that candidate saying these inflammatory things, it's this random group that's on the side of the candidate saying inflammatory things about the other guy, but since there's no head of that group or no like organization, like, who do you blame? Who does ADIDAS sue for using their brand name in an ad about downloading a Chrome extension? JD Prater: That's a good point. That's a really good point. So yeah, let's get into some more stuff that's happened. So, partner categories, right? So for those that don't know, partner categories, a lot of that was third party information that Facebook was able to really tie together around you, the user. They did, I think, a really great job of pulling that information in. But those are gonna be going away, right? Give us your thoughts on those and maybe a few other updates and regulations that you've seen come down. Merry Morud: Sure. I was floored and shocked when I heard that third party data was going away, which is not necessarily tied to what happened with Cambridge Analytica and these audience loopholes, but I think it's a bold move for Facebook and I think it's smart of them to do. Advertisers will be notified in their ad sets. If they're using third party data targeting, that will be eradicated. So big brands will, you know, get their hands held by client service teams and they'll tell those big brands what they should now target and if they can map, you know ... you know, you were doing income targeting, now you should do X. Or you were doing industry targeting, now you should do Y. They're going to kind of outline for bigger brands what can replace that targeting and that targeting will start going away June and it will be dead and done in the water by like end of Q3, beginning of Q4 about. Just because you may not have a Facebook rep or a client partner doesn't mean that you, as an ad practitioner in Facebook, should just wait for it to go away, like, you should already be kind of planning and testing audiences that use third party data targeting, which is a bit harder to identify now, but like, you can kind of glean what's gonna go away with Facebook based data. Facebook based targeting, find those proxies, find things that can replace, whether it's income targeting or that sort of thing or maybe automotive targeting. Often times, like even in the past couple years, it's known that we've paid for third party data if we apply it as an advertiser, like, we don't know what that price exactly is, but that cost gets tacked onto our CPMs or CPCs, and so knowing that this data is more expensive to use, I would set up two audiences, one that use third party data targeting and one that used mostly or only Facebook data, to compare the cause and comparative performance of those audiences. So I encourage the listeners today or further on to do that exercise as well and find those proxies, find what can be replaced with Facebook data. Honestly, I'm really excited about this because this is so old school Facebook targeting and this is like what I totally jammed on for like five years. When I see advertisers use third party targeting when we get new clients and doing an audit of their social account, often times what I'll see is people, you know, get a bit ... I won't say like lazy, but it just becomes so easy to select a category or a data variable that's in this nicely packaged audience that's from like a third party. And so people would, you know, select a couple categories thinking that's good and call it a day and maybe it'll qualify it with an ad operator, usually not. But they often, often, missed like the fanatical nuance targeting that's available and that's honestly where you'll find the most passionate, passionate, people. For example, way, way, way, back in the day, one of our early clients for Facebook ads was Second Life. I don't know if your users know this. JD, were you a Second Lifer? Merry Morud: Just to like mess with him? JD Prater: Yeah. Just to mess with him. Merry Morud: In Second Life? Yeah. JD Prater: We will also link to that episode. Yeah. Merry Morud: In the foot notes? Merry Morud: Yeah, so, Second Life is a place where you can kind of like go online and create an avatar and it's this whole world just online. You could be a unicorn that flies and live on your own island with other ... like, maybe a friend who is a panther. But you could be whatever you wanted and to be fair, I never joined Second Life either, even though they were a client, but great fun, great game. And so Second Life said, "You know, I think people who are into Manga would like really, really, dig Second Life," and I was like, "Okay, cool, cool, cool, sweet. Manga," so I went to my Facebook targeting tool and I just typed in Manga and then I grabbed all the targeting variables that had to do with Manga and then I would stem on that. Found this section at bookstore over the weekend. So I would do like Manga Space A, Manga Space B, Manga Space C and like grab everything that dropped down because Facebook will kind of stop predicting or dropping down suggestions after you have selected a few, so you kind of have to drill in a bit deeper with those second keywords, so I do that with like alpha stemming. And so I'm like ... got everything that had to do with Manga, all those targeting variables, and then I was like, "There's gotta be more because A, I don't even know what I'm targeting right now, so I don't know," I didn't do any research, I just went straight for it. And so I was like, "Okay, cool. Let's take a step back, figure out what Manga is," went to Wikipedia. If you don't know what Manga is, it is Japanese anime. So pretty fanatical, passionate, community and there's more to Manga than just keywords surrounding Manga. And so, quite honestly, every blue link in Wikipedia that linked to another Wikipedia page or entry was a targeting variable, if not many targeting variables, within Facebook. So that was like the, you know, expos or conferences that surround Manga Anime, this was like specific characters that I would've never known to target without looking into this. 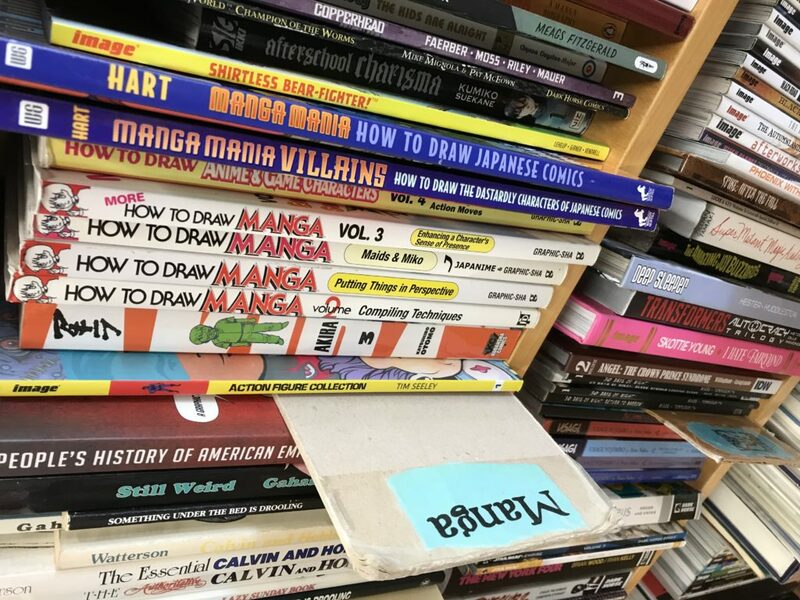 There were specific comics, specific shows, fan clubs, authors, illustrators, all of these people had people who were like passionate about those things individually and not necessarily Manga as a whole. And what happened after I added that research to this targeting pool was it doubled the size. And so I just want to encourage your audience to take that time to do a little research. Dig into not just like what the vertical is or what that keyword is, but what, you know, what conferences do these people go to? What magazines do they read? What podcasts do they listen to? What television shows would they watch that would then make them want to buy something? So, for example, if you're Home Depot, maybe you want to target everyone who watches like HGTV because like, gosh darn, when I bought a house I watched so much HGTV and wanted to like strip everything down to like the bare bones and build from scratch or even just like paint. I just wanted to do something because it was really inspirational. Or think about the job titles they have or what an office manager for a small law firm's role is versus an office manager at like a 25000 person company. Their roles are like totally, totally different. So really, really, just think about not just stemming on keywords or searching those in Facebook targeting, but thinking about all the other avenues that people would put on their Facebook profile or say that they like or interact with online or purchase that would ladder up to that bigger category. So also, like, if you think about like football, you could stem on American football all day and get like a really, really, great audience, but then you also may miss the people who just really like Adrian Peterson and they've never said that they liked football on their profile, but they really like Adrian Peterson. But that means, you know, they like football because he's a football player. Or, you know, teams. Specific bowls, like the Rose Bowl. You could get into college football, which has crazy passionate fans. So there are just like so many branches out from that one root that you can really explore and like really kind of dig up in that Facebook targeting, and that's like ... I still love doing that, like, building audiences and researching is one of my favorite things. It's also really helpful in the creative process too because the more you learn about these categories and what smaller passions ladder up into these greater categories it gives you great creative insight. It allows you to maybe make more like inside jokes or references that may be a bit more relevant to them. So I'm really excited. I think it will harden back to this more like old school targeting on Facebook.